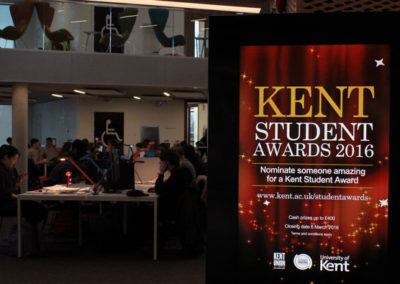 The University of Kent teaches over 15,800 students on its Canterbury campus and has recently celebrated its fifty year anniversary.  With national recognition for research intensity, and the provision of an exceptional student experience, the university approaches the next 50 ears with confidence and ambition. 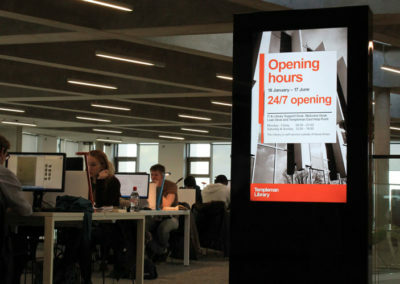 Its Templeman Library has undergone a major redevelopment recently, transforming it into a leading 21 st Century facility incorporating books, study space, computers, and other learning resources. 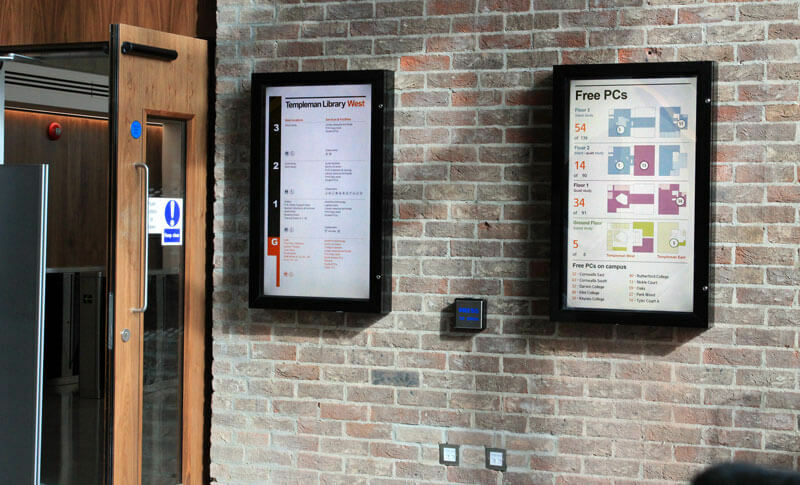 A digital screen and signage strategy were very much part of that metamorphosis. 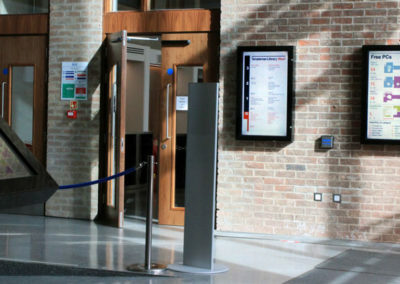 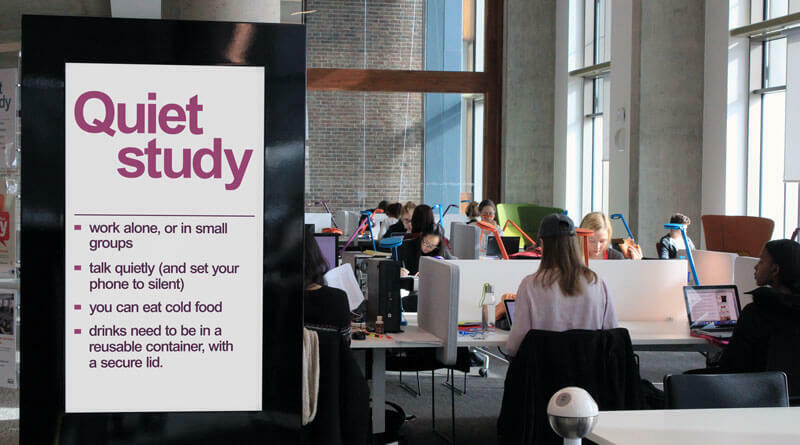 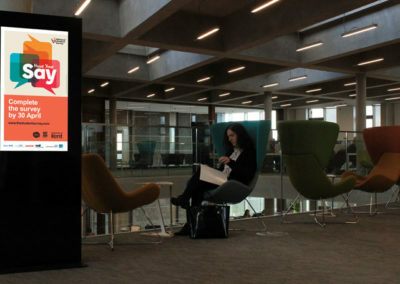 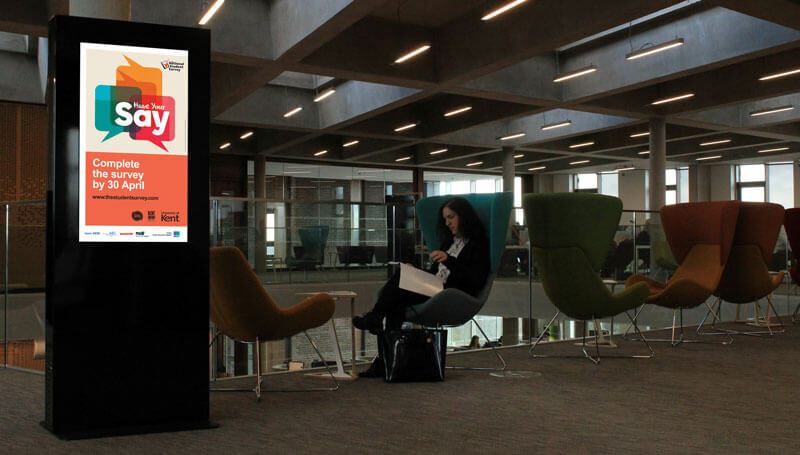 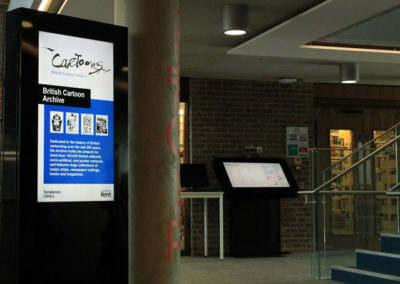 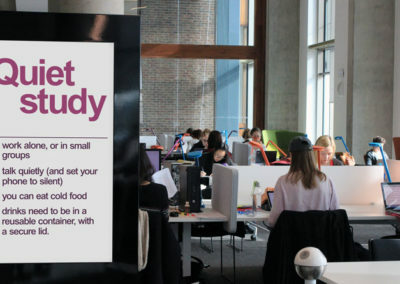 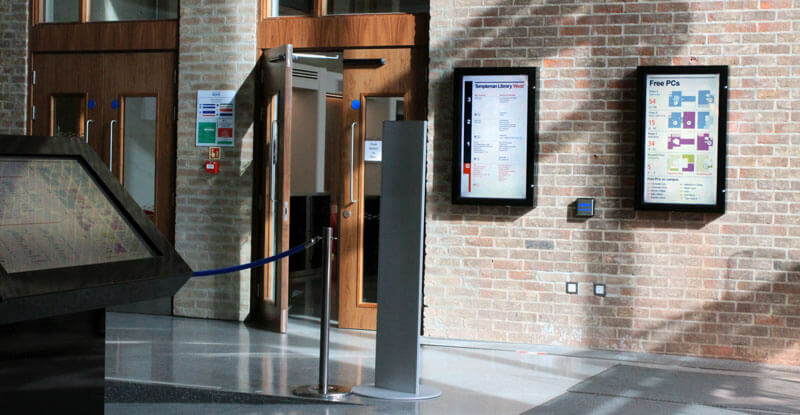 University of Kent needed a simple to use Digital Signage solution that gave them hardware flexibility to put displays in a variety of library locations and to integrate with internal systems to show live PC availability data. 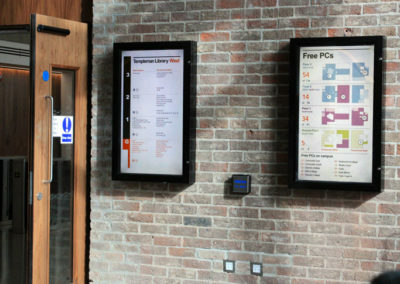 They also wanted to use the same system to deliver key information and wayfinding in the newly developed Maths department building. 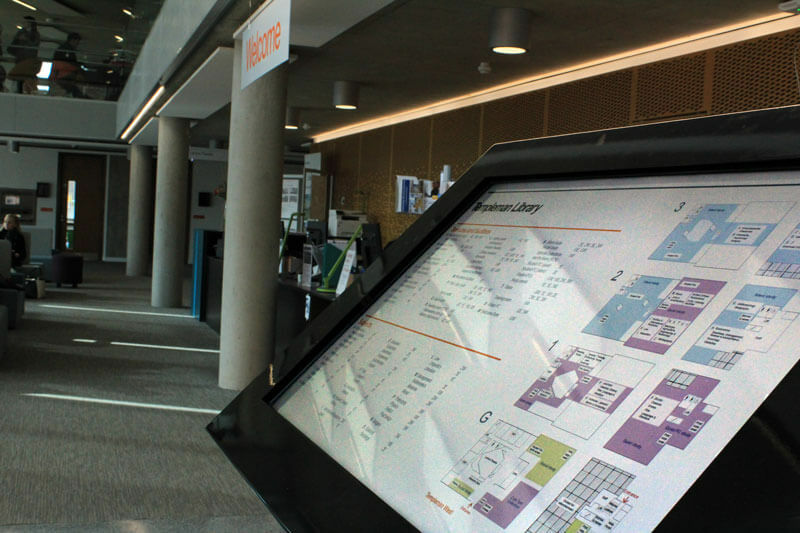 “Navigating around the large 15,000sqm space for up to 9000 visitors a day can be a challenge, so digital signage was employed to aid navigation across the four floors – helping students find a computer to use, books or space to study in. Some screens are also used for room availability and promoting events/services to library users.”. 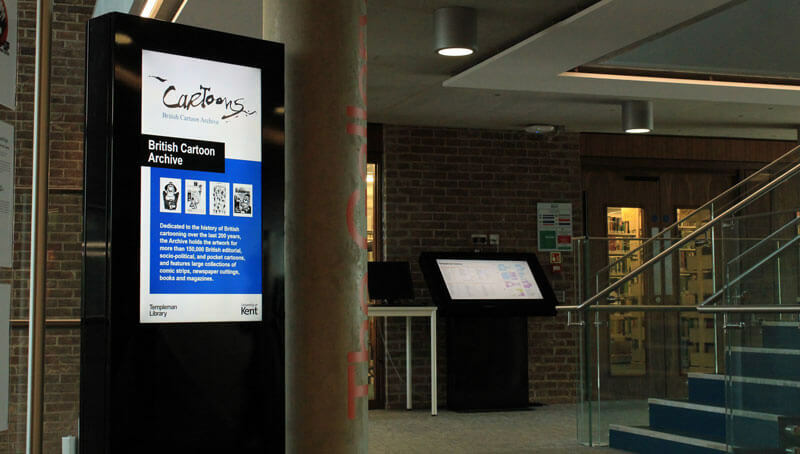 – Julia Crompton, Marketing Manager, Templeman Library, University of Kent. 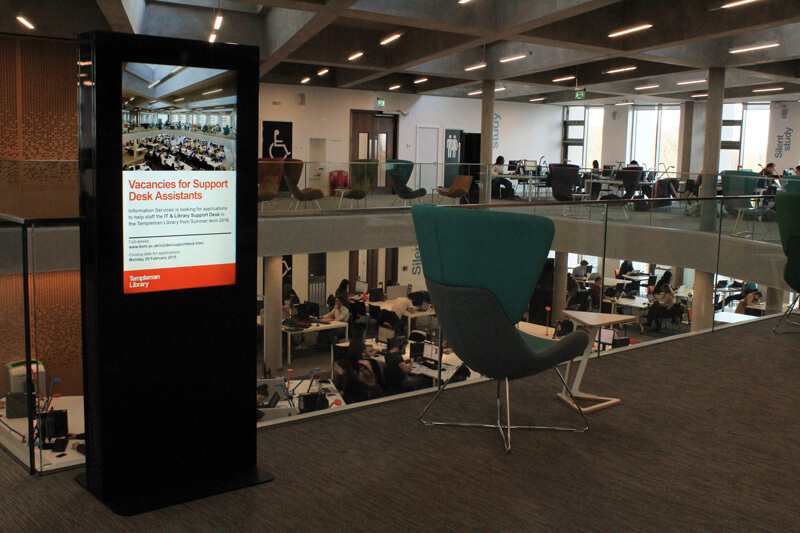 The screens are installed in a variety of environments including landscape kiosk enclosures, portrait totems, wall mounted portrait enclosures and room booking housings outside study rooms. 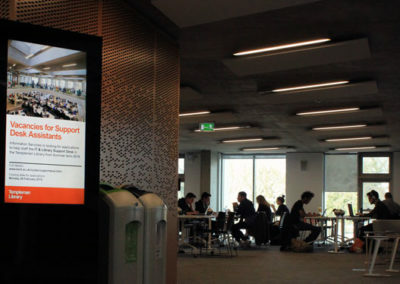 Eclipse Digital worked with University of Kent throughout the entire project and supplied a digital signage network consisting of over 35 Samsung Smart Signage Platform displays in a variety of sizes, paired with the cloud based digital signage software embed signage. 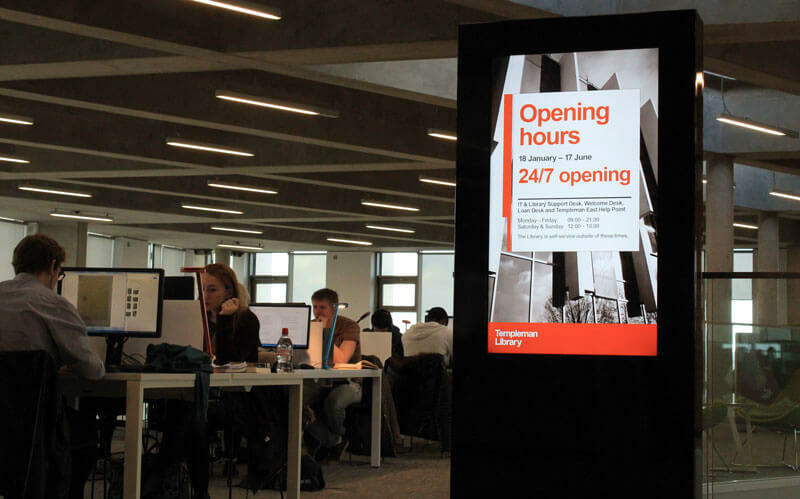 Julia Crompton, Marketing Manager, Templeman Library, University of Kent.